Add appointments to your calendar with ease, simpler to use than paper diaries, less complicated than most online calendars. Busy businesses don't have time to spend hours in front of computers loading appointments. When we built our booking calendar we wanted to make something that allowed you to create appointments in seconds. Just some of the awesome features of our appointment calendar. Create appointments in seconds not minutes. Have more than 1 staff? Create as many schedules as you need for no additional cost. Create repeating appointments, such as every week, every other week, every second week, the first Tuesday in every month. Lots of different repeating options. Ability to create group or class appoinments with ease. Once you loaded you can automatially send the whole class a reminder every week. Send sceduled and automatic SMS/Text, Email and Voice Reminders. Allow your customers to reply. You might already use a different calendar system but want to import appointments so you can send sms reminders. We have a number customers who do this already, it's super easy and takes only minutes to complete. 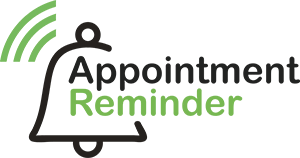 We have many happy businesses using our appointment calendar. We offer a full money back guarantee anytime if you're not happy with our service for ANY reason. You can cancel anytime no contracts.